You choose which 2 portions of cheese you would like in this personal selection. 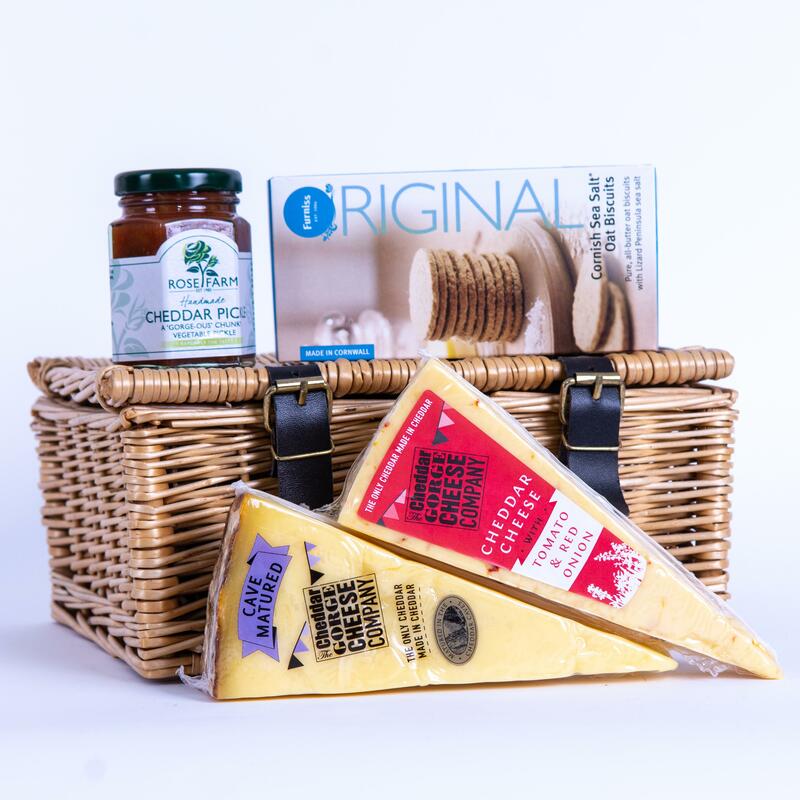 We add your choice of Cheddar Pickle or Harvest Chutney, and finish off with your choice of Furniss Original Cornish Biscuits or Original West Country Cheddar Biscuits. 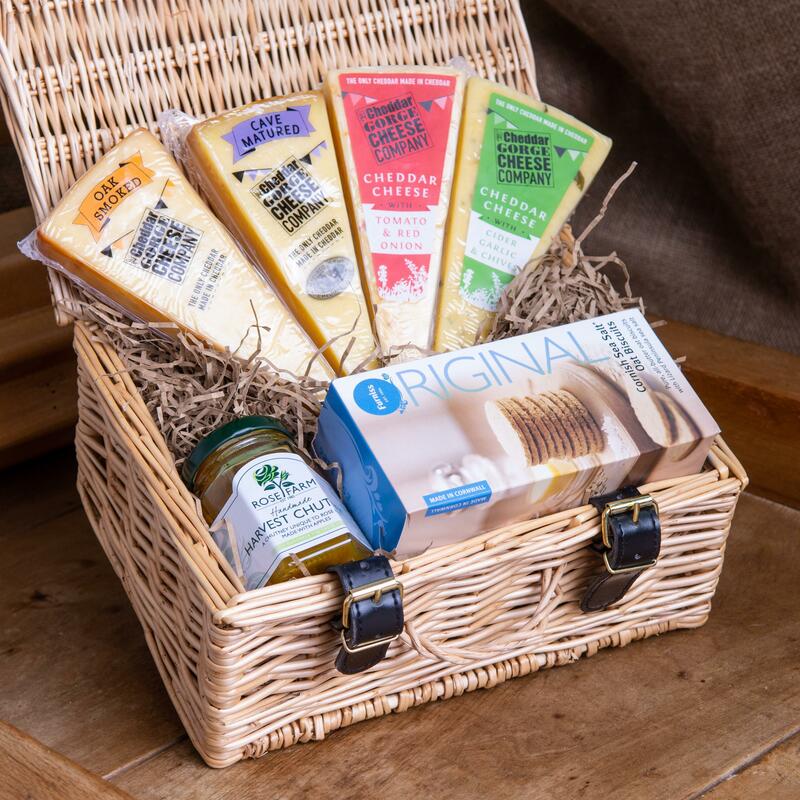 All beautifully packed into a wicker hamper with endless uses long after the cheese has gone. Furniss Original Cornish Sea Salt Oat Biscuits: Wheat and may also contain nuts.